Shannon Taylor Vannatter pays us another visit today! Shannon is a stay-at-home mom and pastor’s wife. Her debut novel won the 2011 Inspirational Readers’ Choice Award. When not writing, she runs circles in the care and feeding of her husband, their son, and church congregation. Home is a central Arkansas zoo with two charcoal gray cats, a chocolate lab, and three dachshunds in weenie dog heaven. If given the chance to clean house or write, she’d rather write. Her goal is to hire Alice from the Brady Bunch. She’s also offered to give one copy of her book away! So leave a comment below for her with your email address. We must have at least ten comments. Continental U.S. only, please. Shannon, tell us about your latest book, Arkansas Weddings, three stories in one. I wrote White Roses a long time ago. The story of a florist who’d arranged flowers for a pastor’s wife for several years. After his wife’s death, the pastor kept his standing order and delivered the white roses to her grave. The widowed pastor meets the florist in chapter one. Just as they’re beginning to have feelings for each other, they learn something dark shattered both their lives before they ever met. 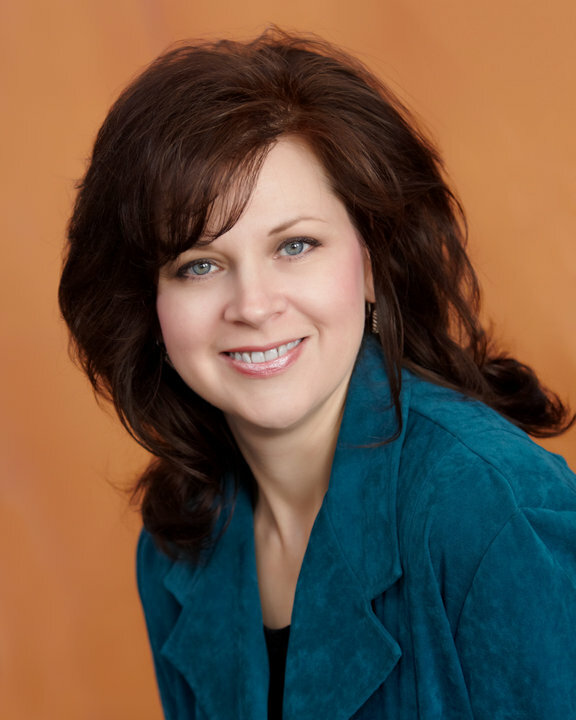 In 2008, I traveled to Minneapolis to attend the American Christian Fiction Writer’s Conference and pitched my story to an editor with Heartsong Presents. Months later, I was offered a contract and the editor wanted to know if it could be a series. A series? I hadn’t thought about a series. All of my secondary characters in the book were already married or I married off during the course of the story. But there were two characters who were only mentioned in passing and never appeared onstage. Sylvie’s husband, an alcoholic, never stepped foot in church. Their two children, both grown and gone with lives of their own, never came for a visit. Instead of having empathy for the plight of Helen and Wade, since alcoholism controlled Sylvie’s life as well, she took all her heartache and picked apart the lives of others. That’s all I had to go on when I decided that one of Sylvie’s children could be female. After I delved into Lauren Kroft’s psyche, I decided she never came home because her mother is a gossip maven and her father is the town drunk. Enter the heroine for White Doves. Since I’d researched the setting, Romance and Rose Bud, Arkansas for White Roses, I decided White Doves needed to center around the post office. In real life, the Romance, Arkansas Post Office provides a re-mailing service. People send their Valentine cards and wedding invitations there to be re-mailed from Romance, Arkansas. What better way to make Lauren come home than a promotion as Romance’s new postmaster? And the hero—a mail carrier. I enjoyed making her his boss and I had a lot of fun with post office lingo like Lauren thinking of Hayden as her priority male. Eventually, Lauren’s missing brother came home too and Lauren and Hayden learned they were all connected through a child they all wanted, which complicated everything. Book three came from this line from White Roses: Just two years ago, she’d been the soon-to-be bride blissfully planning her own ceremony. Until three weeks before the big event, when Wade crushed her illusions with his curvy blond floozy, clad only in a towel. That made me want to delve into the curvy blond floozy in White Pearls. What would make a woman bust up an engagement? Why was she like that? I soon learned Shell Evans had a chip on her shoulder. Raised by a promiscuous mother, Shell learned everything in the school of hard knocks. And it skewed her view of the world. Low self-esteem put her on a constant search for love and she looked for it in all the wrong places just as her mother had. The Darden Gifford house is real, was built in the late 1800’s, and oversees Rose Bud. It’s one of those stately old houses I can never drive by without looking. And I knew it was the perfect place to set Shell’s story as her boss hires her to oversee the remodeling project and transition the house into a bed and breakfast. The hero, Ryler Grant is the landscaper. He and Shell have a past and he has a secret too. A secret that goes all the way back to Sylvie, the busybody. White Pearls rounded out the series. Before it was over with, the owner let me have a book signing in the house and there were rumors in Rose Bud that the house was going to be turned into a bed and breakfast. I loved this series and hated to see it end. The three love stories were my first published books and they’re set in my home state. Each title released separately in 2010 and 2011. 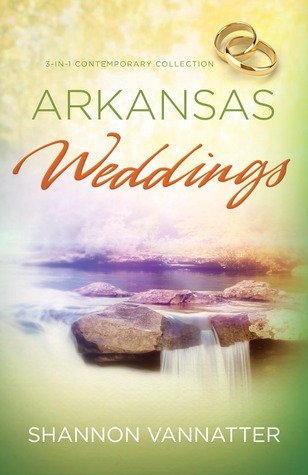 Now, I’m thrilled with the re-release of all three titles in one volume, Arkansas Weddings. And the best news—you can find them wherever books are sold. Arkansas Weddings: Love’s never easy in three Arkansas romances. Pastor Grayson is still grieving his wife’s death. Will a budding relationship with florist Adrea Welch be the healing he needs to plant new love in his life? Laken left home eight years ago and never looked back. Now she’s in Romance, Arkansas, again, but is she too close to her past—and Hayden Winters? Shell doesn’t have a good reputation. But no matter what everyone thinks, she’s back in town with a job to do. Will Ryler Grant disrupt her plans. . .and change her heart? These stories sound great! Thanks, Shannon, for sharing with us today! Very nice interview, thanks for posting this article, i love her writing! Thanks for the compliment. It was a fun interview. I enjoyed reliving the process of writing this series. And I’m so glad they’re all in one volume now. I have never read any of Shannon’s books, but I do have ‘RODEO REGRETS’ on order from Amazon. Can’t wait to read it! God Bless you, Shannon! God bless you, Sally. I really hope you enjoy the book! I’d love to hear what you think of it through Facebook or my website. Hiring Alice from the Brady Bunch sounds like a good idea to me. I really like the books that have 3 related stories in them. They make a fun read. OOPS. Forgot to leave my e-mail address. I enjoy the 3 in 1’s too Susan. That way, you know you’ve got the whole series and you know you’re reading them in order. All of my books are complete and can stand alone, but there is an order to read them in, so you get the whole story. By the way, thanks for having me again, Sherri. Why didn’t I think of that. Yes, Samantha would be even better. This book sounds terrific. Would love to win. Thank you for the opportunity to participate in the giveaway. Please enter my name in the giveaway. Thank you!! Thanks for the compliment. I hope readers enjoy it as much as I enjoyed writing it.